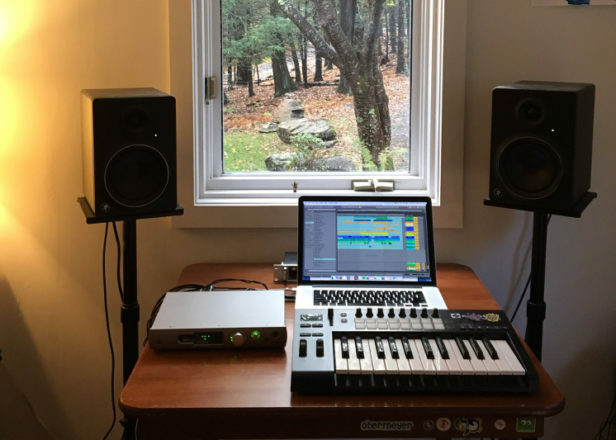 Monitors on his studio where he recorded the 2017 album. Mackie has once again revisited their popular MR series bookshelf monitors and made several notable improvements in all three full-range designs, as well as in the MR series sub. The MR6mk3 is the smallest of the three full-range models, and depending on your room size, budget and application, it may be the perfect selection for your near field monitoring needs. The ability to reveal the character of your music is the primary reason to get professional studio monitors. Mackie MRmk3 monitors are packed with design features to enhance this experience. From the added punch and bass extension provided by the custom-tuned ports to the rugged all-wood cabinet packed with sound-tightening acoustic absorption material, you can be confident that MRmk3 monitors are revealing the full-range, natural character that your music deserves. I was working on my music with that speakers at school,sounds great! Been In love since day one! I really love these Monitors, They sound great and look slick as hell. one thing to know about them is they have a short break-in period where the lows sounded sharp but besides that, I'm vary happy with these Monitors. One of the best quality nearfields in this price range, I'd say a "home-studio standard". It has better midrange than the MR6, because of the smaller speaker. Although it lacks the very low end, they can be a decent friend at home. I use this now for every audio task from listening and production, to mixing and mastering. Probably the best one for this price range.